Welcome to Bishop Shanahan High School! Bishop Shanahan is more than just a high school. It is an experience that offers young men and women an educational journey of academic excellence, rich extracurricular opportunities, and a community that radiates the Christ-centered values of love, respect and responsibility. We invite you to come and visit us - you are always welcome! 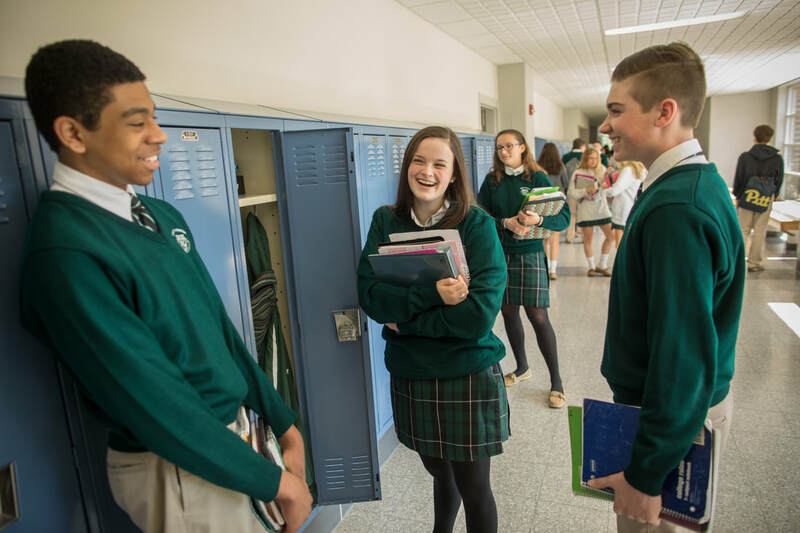 "The high caliber of academics at Bishop Shanahan, particularly in math and science, ​enabled me to..."
"As parents of 4 kids in a great school district, we had planned to send our kids to public high school. However..."
Shanahan students are encouraged to explore a wide variety of interests and extra-curricular activities. Athletics, fine arts, robotics, forensics, and student government are just a few of the many opportunities that make the high school experience unique for every student. This is a community that has something for everyone! Learn more about BSHS Student Life.